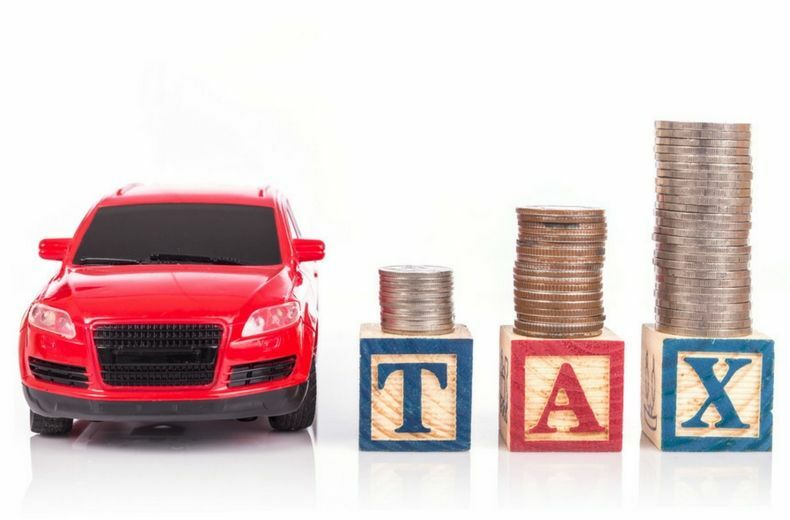 Motoring taxation consists of a number of different components including vehicle excise duty, or ‘car tax’, company car tax, ‘showroom’ tax and fuel duty which the RAC believes is the most financially punishing of all. Britain currently has the second highest fuel duty level in Europe, with 57.95p of the cost of every litre of fuel going to the Treasury. With VAT being charged on every fuel purchase, this means almost 60% of the price of a litre of fuel on the forecourt goes straight to the Government. However, only a fraction of this £40bn-plus revenue is actually spent on road building and maintenance. Vehicle Excise Duty (VED) or ‘car tax’ has been around since the earliest days of motor vehicles, with the UK’s first tax schemes for ‘light locomotives’ introduced in 1896. In 1989, VED was £100 on a family car. Today, the amount of VED is banded and depends on car engine size or official CO² emissions and the date of first registration. The more CO² a car emits, the greater the amount of VED payable. For example, drivers with vehicles emitting between 226 and 255g/km of CO² can expect to pay £475 per year, while those driving cars with less than 100g/km of CO² emissions pay no VED12. In 2012, VED raised £5.9bn for the Treasury. As of 2010 a new first year rate of VED was introduced, which has subsequently become known as ‘showroom’ tax. The amount of tax payable is based on the VED band, ranging from £0 for vehicles in the lower bands, up to £950 for vehicles in the highest band. After the first year the amount reverts to the normal VED bands. Company car tax, similarly intended to encourage purchase of more fuel-efficient vehicles, also brings in money for the Government. From April 2015, the Government is planning to introduce two new company car tax bands at 0-50 grams/kilometre of carbon dioxide (g/km CO2) and 51-75 g/km CO2. In future years company car tax rates will be announced three years in advance. Fuel duty is still the prime generator of motoring tax revenue for the Treasury, bringing in £26.8bn in 2011/2012. In recent years, however, fuel duty revenue has declined as a result of people reducing their annual mileage, buying more fuel efficient vehicles and driving in a more eco-friendly way. The RAC believes this is a clear signal for the Government to find better ways of taxing motorists to secure the funding that will ensure the longer term development and maintenance of the road network. This, however, must be done without unfairly punishing less affluent motorists who have no alternative to the car for the basics of life. Engine codes, DTC codes and OBD codes - what are they and how do I read them?